For a few days, Opera has refused to load any single page. I've rebooted, and closed Opera and all those things, but that hasn't solved it. Any advice on how to fix this? Check that "Turbo" isn't switched on, if it is try switching it off. Assuming that other browsers work OK, it's possible that your Opera profile has got corrupted in some way. Look in "About Opera" on the menu for your profile location, close Opera and go to that folder and re-name the "Profile" folder to "Profile.old". Re-start Opera, which will create a new clean profile. Your settings may now be wrong, and your bookmarks gone, but see if it will load pages now. If it doesn't, there must be another issue, so close Opera, delete the new profile folder, and rename "Profile.old" back to "Profile", to restore your original settings and bookmarks. If it does fix the problem you will have to then determine which part of the profile is causing the problem, or just keep the new profile, so let us know! Turbo isn't turned off, and other browsers are working fine. I went to the folder as you said, and there's no file or folder called profile'. I've searched for the wordprofile' and it tells me that no items match my search. You say "Turbo isn't turned off". Do you mean that it's on? If so, turn it off and see if it makes any difference! When you look at the "About Opera" page under the main menu, where does it say that the profile is? The path should end with "\profile\data". Your profile folder, called "Profile", should certainly be there in that location, with a "Data" folder within it. You can use: Run (WindowsKey + R) type %AppData% and Enter. Sorry, I mistyped - Opera Turbo is not enabled. But when I go to that folder, and look for a file or folder called `Profile' (and even search for it), there's nothing. That's very strange, that's certainly where the Profile folder should be! Have you got Explorer set to show hidden files and folders? The Profile folder shouldn't be hidden, but you never know! Both are right. But misunderstood. The path to the "profile" OMenu > About Opera > Profile has a certain name that is not called "profile". But you can arrive through Win + R > %AppData% without enable "Show hidden files"
Thanks to you both and sorry for the confusion on my part. Hide Hidden Files is turned off. Well that's strange, I certainly wasn't aware that there was no longer a "Profile" folder in some circumstances! One thing you could try, is do a search for "Bookmarks" (no file extension). If it finds a file called "Bookmarks" it will be in your profile\data folder, wherever it is! The profile folder it's called Data inside Opera Stable. Your bookmarks will disappear but still remain in the renamed Data folder. That folder is the profile folder. There is a folder called "Data", as I said, but it always used to be within a folder called "Profile". Renaming "Data" would do the same job as renaming "Profile" of course, but it's a bit of a mystery to me why the OP doesn't seem to have a folder called "Profile"! Has this in fact been changed in more recent versions of Opera? But I use custom paths for profiles so maybe in some point was called Profile but I didn't noticed. And they will appear only in standalone/portable installations. In a regular installation there is no folder called 'profile'. Even in Presto there wasn't one if I remember correctly. 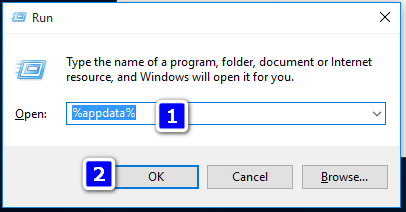 Profile folder is just a way to call the folder that stores the user data. Thanks for the clarification @leocg. I've always used standalone installations of Opera because I'm its only user, and I prefer all its files being in one place. I didn't realise that the folder structure was actually different in a standard installation, as well as being in a different place of course! Sorry for the confusion @rjas21. I'll remember that for the future! My advice still stands, just substitute "Data" for "Profile"! Is this where I give you the heartbreaking news that there's no file or folder named `Data' either? Well in that case try my suggestion of searching your hard drive for a file called "Bookmarks" (with no file extension). That's the file that stores (you guessed it) your Opera bookmarks and Speed Dial data. It should definitely be in your profile/data folder, wherever it is! If you can't find that file, I'm truly stumped! Check the path for 'Profile'. That folder is your 'profile' folder. I usually use Standalone installs too. Let's see what happens with Rjas21 issue.